The Grand Canal is the longest manmade waterway in the world. Now, there are moves to bring back some of the vibrancy of its glory days. The Grand Canal stretches more than 2,500 kilometers, from Beijing to Hangzhou, the capital of Zhejiang Province. Over 1,000 km of it was recognized as a world heritage site in 2014. The Grand Canal, the world’s longest manmade waterway, once carried the lifeblood of ancient China. It opened in 486 BC and carried water across the country for more than 2,000 years, transporting food for Beijing, which served as the capital for several dynasties. Although highways, railways and aircraft have taken over most of its transportation duties, there have been increasing calls to reflood a dry section of the waterway. 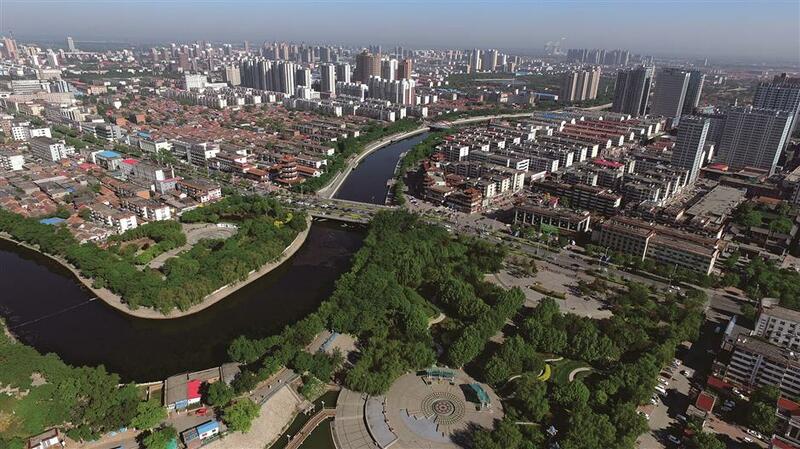 A bird’s-eye view of the Grand Canal passing through the city of Cangzhou, an important staging post on the canal in Hebei Province. 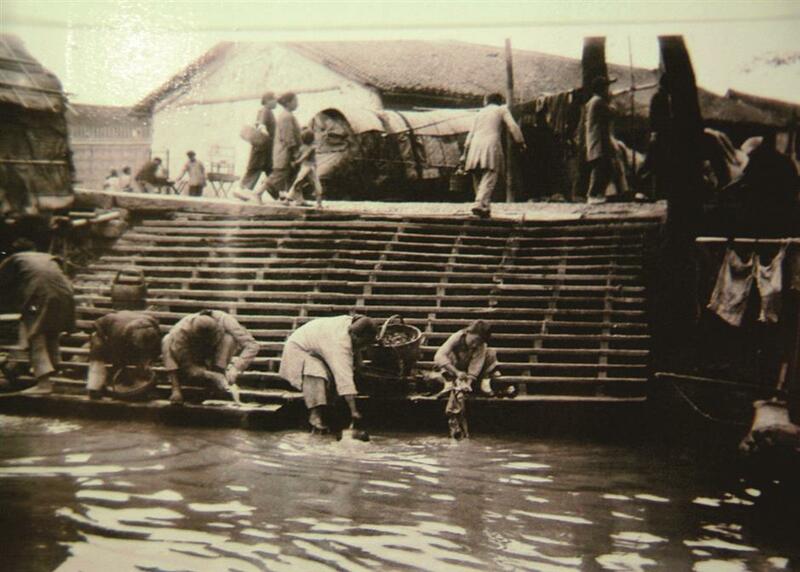 In 1855, a flood changed the course of the Yellow River, dividing the canal into two parts. 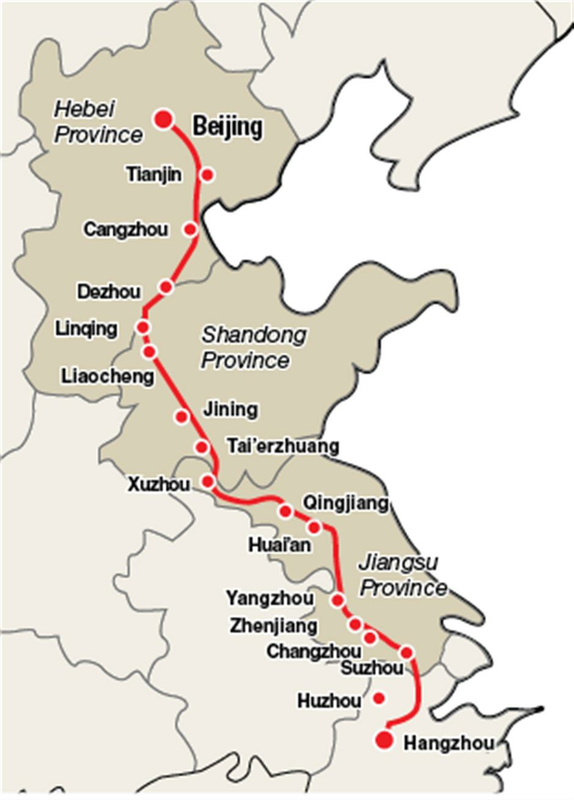 The southern part is still a major transportation waterway, but the northern part in Beijing and Tianjin municipalities, and Hebei and Shandong Provinces has almost dried up since the 1960s due to changes in rainfall patterns, reservoirs, irrigation projects and flood control measures along the rivers that feed into it. Wei Shucheng, 70, is proud to live in the city of Cangzhou, an important staging post on the canal in Hebei Province. His township is also known for a 100-year-old dike built at a sharp turn in the canal. Rice starch was used to reinforce the dike, and it has never been breached. Many vessels once stopped there, so the township is busy with restaurants and hostels. Wei’s father served as a cargo loader using a wooden wheelbarrow. The cargo was unloaded from the vessels before being distributed via roads. Decades later, Wei also became a loader — though he used a truck rather than a wheelbarrow — until the canal fell out of use for transportation. The company he worked for eventually went bankrupt. “I hope one day I could see vessels passing by again,” Wei said, looking at the almost dry watercourse. In 2011, when water from the Yellow River was diverted via the Grand Canal watercourse to thirsty Tianjin, Cangzhou residents gathered to watch water fill the canal once again. “Although we were not allowed to take any water for irrigation or any other reason, we were delighted just to see it,” said Sun Jian, a cultural association worker in Cangzhou City. Sun said even the cabbage grown along the canal tasted better, as the rest of the coastal city mostly had saline soil. “We can’t call it a waterway if there is no water. How we wish there would be water every day in the canal!” he said. He Zhineng, deputy chief of Tianjin’s municipal tourism bureau, said resuming boat travel along the canal would greatly boost tourism. By strengthening connections between the south and the north, the Grand Canal helped foster the development of Chinese culture. Famous resorts along the waterway include the hometown of Confucius, Qufu, the cradle of Chinese acrobatics in Wuqiao, and Cangzhou, known for its martial arts. In 2014, local authorities signed a framework agreement to resume boat navigation in Beijing’s Tongzhou District, Tianjin’s Wuqing District and Hebei’s Xianghe County along the northern part of the Grand Canal. The restoration is expected to be accomplished by 2020. Turning the dry canal section into a waterway for boats isn’t easy. One of the biggest issues is finding enough water. Zhu Yang, an architecture and planning professor at Tianjin University, said processed urban waste water would help fill the waterway between the megacities of Beijing and Tianjin. 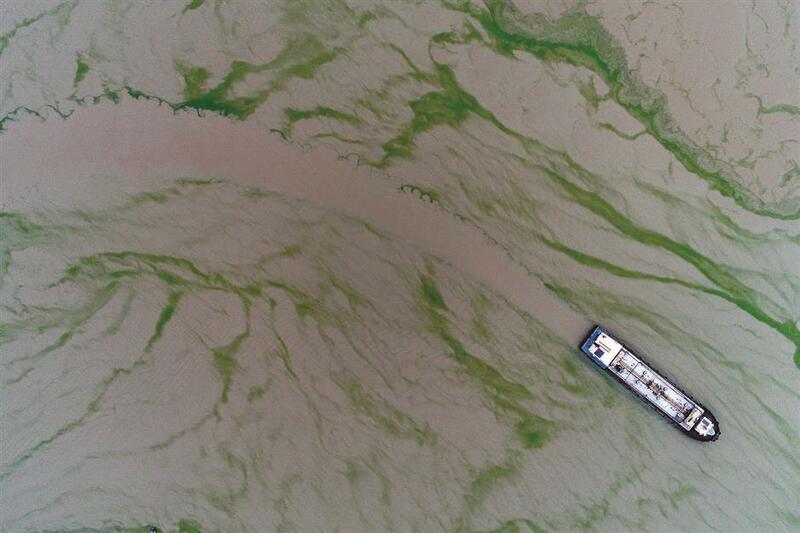 However, in Shandong’s Dezhou and Hebei’s Cangzhou, where there are no rivers and little urban waste water for processing, all they can do is to expect water to flow from the upper reaches. Li Diankui, an irrigationist and political adviser of Shandong Province, recommended turning current distributary projects into tributary ones, so that the water of source rivers will be diverted to the dried canal, instead of flowing directly into the sea. He also advised building a tunnel beneath the Yellow River to connect the southern and northern parts of the Grand Canal. “The overpass of the Grand Canal and Huaihe River in Jiangsu Province has proved its feasibility,” he said. 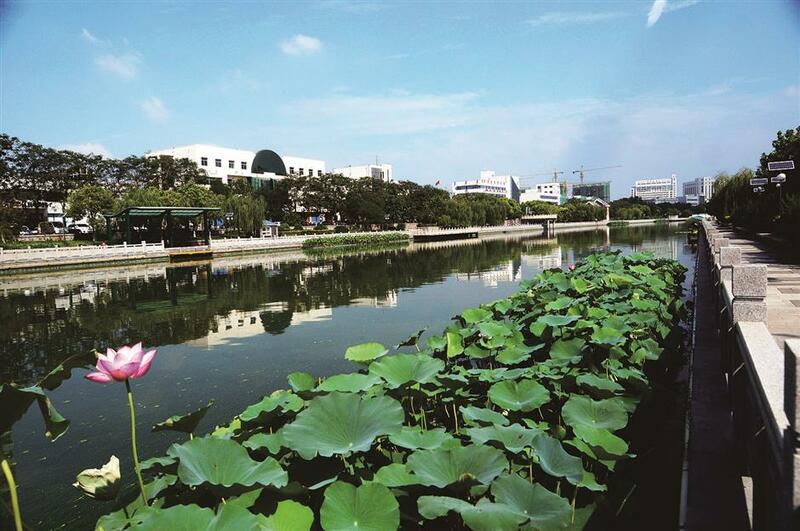 Water quality has been effected in the Huai’an section of the Grand Canal due to irrigation and the high temperatures. 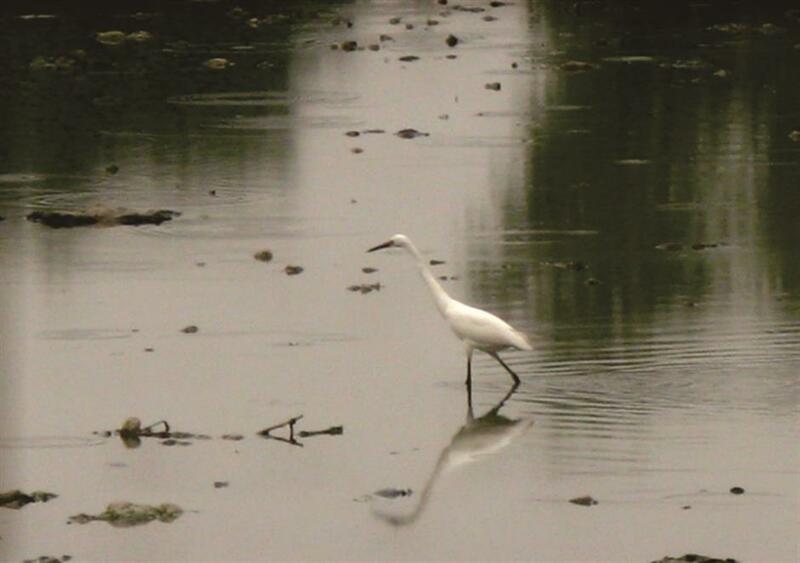 An egret walks on the silted waterway of the Tongzhou section of the Grand Canal in 2009. The limited headroom of bridges is another problem. Dong Xiaoli from Cangzhou’s water affairs department said that to boost local tourism, the city bought a 24-seat tourist boat in 2011, when the Yellow River water was transferred via the city to Tianjin. But the boat could barely travel 2 kilometers along the waterway, as the bridges were too low for it to pass. “Many bridges along the canal have to be rebuilt. Otherwise, tourists would have to change boats whenever they encounter a bridge standing in the way,” she said. According to Ma Yuping, from the water affairs bureau of Wuqing District of Tianjin, more than 20 bridges need to be renovated in Wuqing District alone, including expressway and railway bridges. Dredging is also needed for the long-deserted waterway, which is now full of garbage and dried sludge. 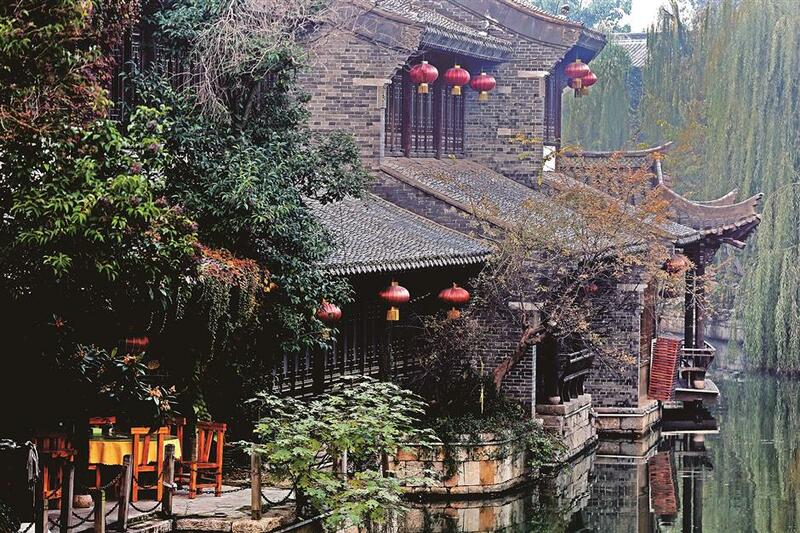 The ancient canal town of Tai’erzhuang in Shandong Province. The ancient waterways, docks and other relics revive the memories and culture of the city. “We have to renovate the waterway so it is able to receive enough water for vessel navigation,” she said. Liu Guimao, a retired media worker, is helping a local Grand Canal culture association shoot a documentary. Both tangible and intangible cultural heritage along the canal are featured, such as the historic artillery fort of Machang, different versions of the folk song “Jasmine” along the canal, and the martial arts of Cangzhou. “Water transport along the canal created demand for body and cargo guards, which turned Chinese kung fu from an exercise into a way of making a living,” said Liu. Despite admitting the difficulties and costs of up to billions of yuan, Liu expects one day he will see water flowing in the canal again. “I don’t want our offspring to only find the great legacy of the Grand Canal in a museum or a documentary,” he said. A beautiful bank on the Tianjin section of the Grand Canal. 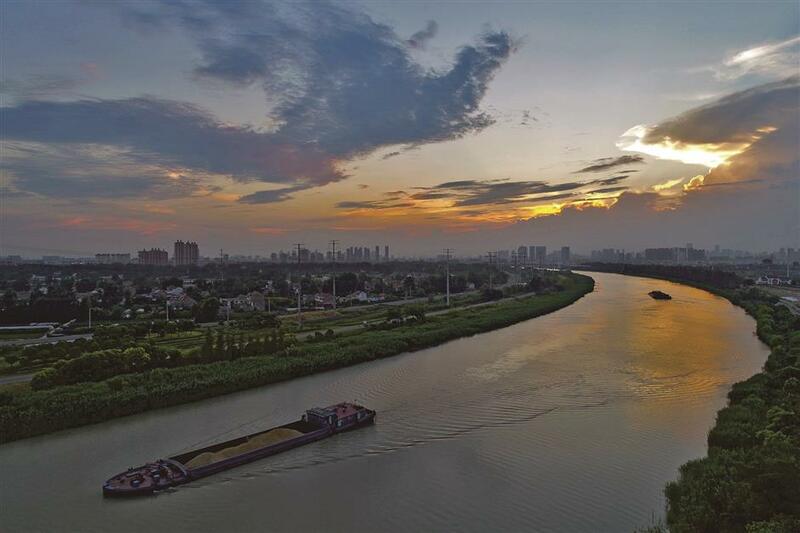 Local authorities signed a framework agreement to resume boat navigation in Beijing’s Tongzhou District, Tianjin’s Wuqing District and Hebei’s Xianghe County along the northern part of the Grand Canal by the year 2020.